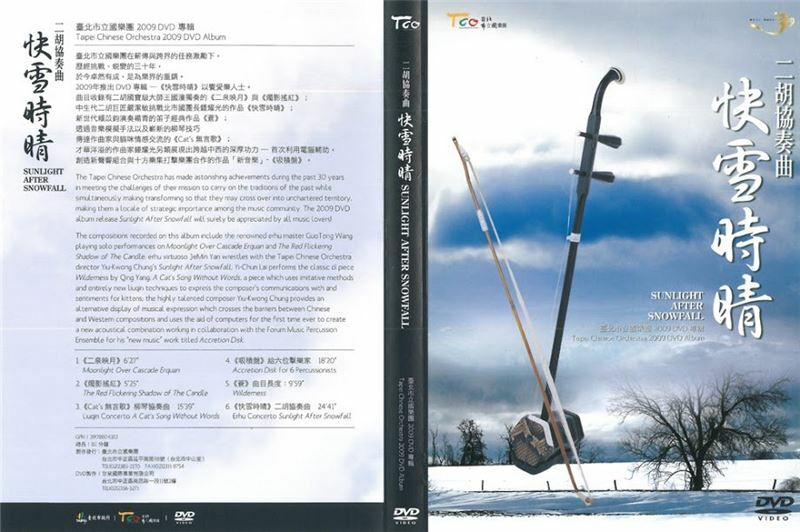 Composer Chong Yiu-kwong completed the erhu concerto for the opera, Sunlight after Snowfall in June, 2008. In fact, the piece was created for the 2008 International Er-hu Competition held by the Taipei Chinese Orchestra. 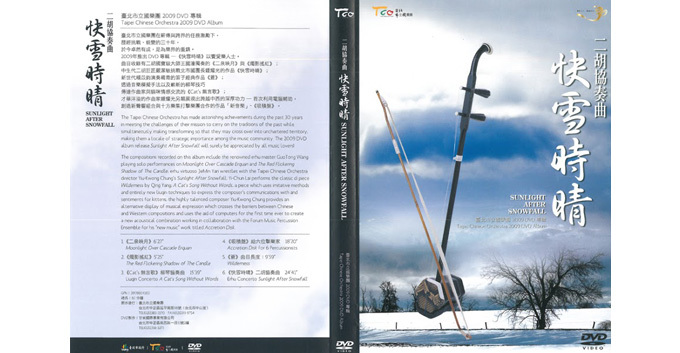 The main melody was taken from the music for Sunlight after Snowfall, a Beijing Opera produced by the National Symphony Orchestra and Guo Guang Opera Company. The music of Sunlight after Snowfall, which derives from the title of the calligraphy copybook by Wang Xi-zhi, which is one of the ten most valuable treasures of Taipei’s Palace Museum, depicts the cultural and artistic confrontation between East and West. The story begins with the letter “Sunlight after Snowfall” written by Wang Xi-zhi to his good friend, Zhang Rong, who then starts a journey that goes through time to search for his friend’s letter to him. During the journey, he explores chaotic times in history and searches for a place where he can settle down and make it his hometown. The first movement of the concerto mostly comes from the original soundtrack of the opera, so the music is in the style of Beijing Opera . The melody of the second movement is graceful and smooth, occasionally presenting original music in the opera. The theme of the third movement is taken from the violin solo in “Performing Opera,” a poetic symphony composed by the same composer in 2008, and the melody is full of spirit, perfectly demonstrating the excellent skills of the left hand and the movement of the bow of the solo erhu.